Create Lab’s “Confident Tech Creators” Holiday Coding camps aim to unleash your child’s creativity and empower them to become problem solvers both in school and in the real world. 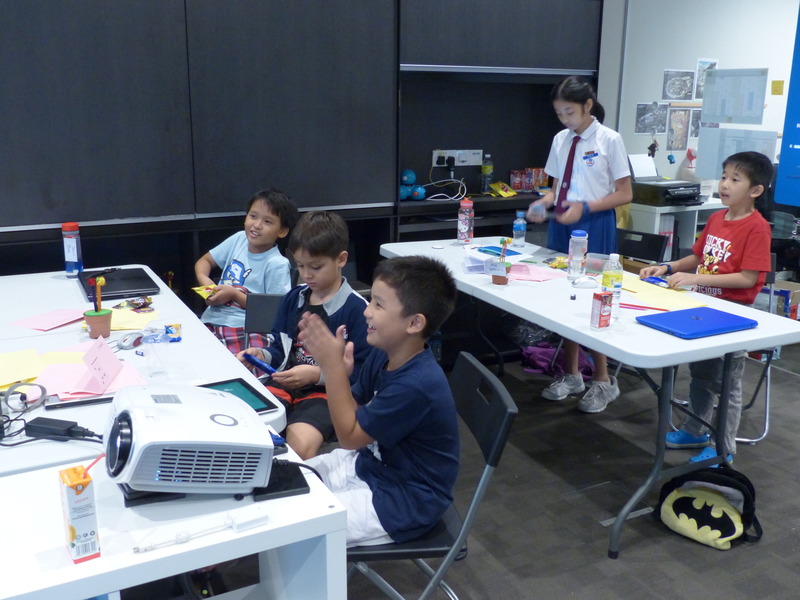 These camps enable children to express creatively through technology and encourage Computational Thinking – a powerful thought process that enhances 21st Century competencies of critical thinking, creativity, communication and collaboration. Our camps inspire children to acquire skills and attitudes that will allow them to thrive in a future that will be dominated by technological change. Developed by world leading academics, Create Lab’s curriculum focuses on a lot more than just Coding and holistically include Design, Interactive Robots and Unplugged Learning in an environment that emphasises creativity, imagination and having fun! Day 1: Learn computer science without computers! Then meet Dash & Dot – robots who’ll help solve puzzles and be your new best friend! 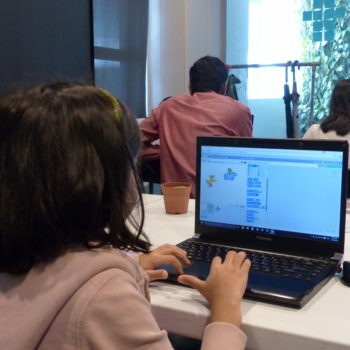 Children will be exposed to the basics of Computer Science, including algorithms, operators, etc. using only graph paper, pens and pencils. This will give them an understanding that Computational Thinking is not just about computers. 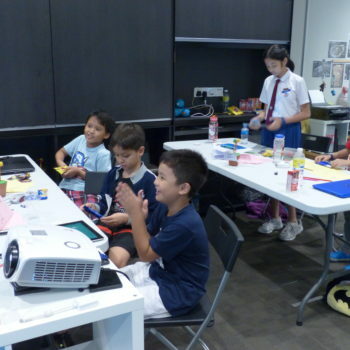 Children will then be introduced to Wonder Workshops’ “Dash & Dot” robots (https://www.makewonder.com/) who will take them on an adventure through logic, creativity and collaboration to solve problems. 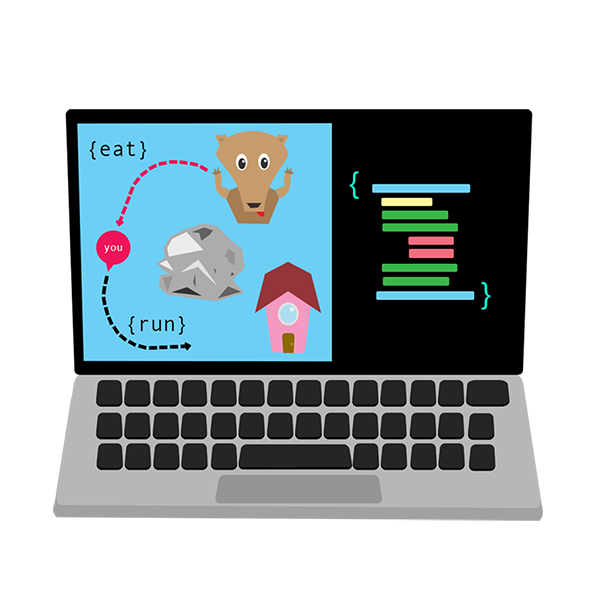 Day 2: Tell a story, make new friends and be a computer programmer along the way! 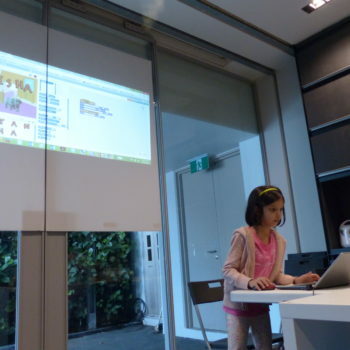 Children will be introduced to the Scratch (https://scratch.mit.edu/), a visual programming language developed by MIT. 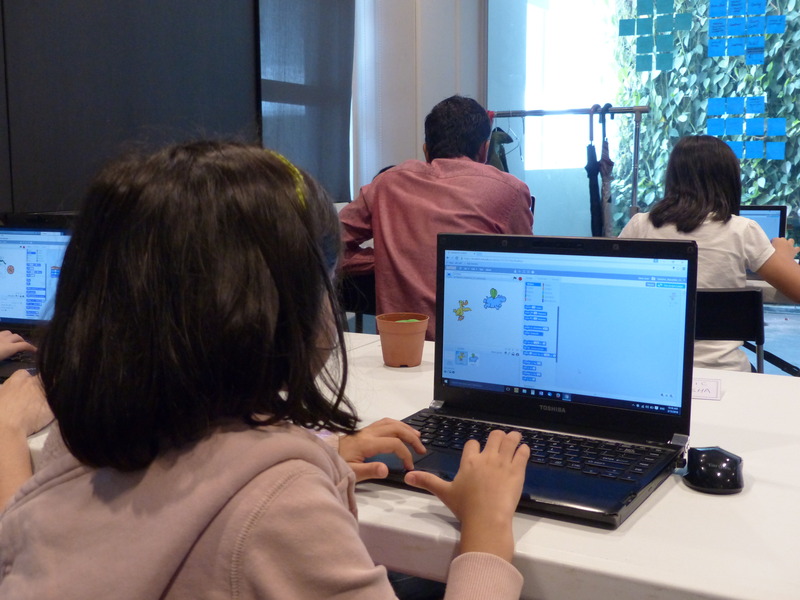 Easy to learn and relate to, children will explore Scratch functions and have fun by working with their classmates in writing their very first programs. A “show-and-tell” at the end of the class will give them a chance to channel their inner public speaker. Parents get to be part of their accomplishment by accessing their creations from home. Day 3: Design, draw and create! 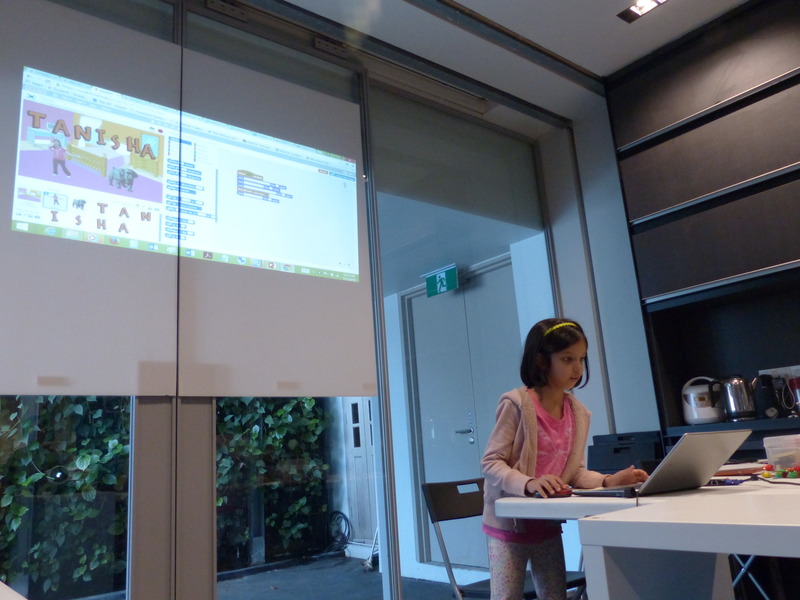 Exploration into Scratch will continue as a wider range of programming functions get introduced. Children will learn about conditionals, variables, and iterations. They will be encouraged to develop a game on their own where they will design their own characters. Maybe it could be Elsa and Anna. Maybe it’s the Transformers! The choice is up to them and limited only by their imagination! Through this journey they will get to pick up valuable Computational Thinking skills. Day 4: Technology is more than a screen and a keyboard. Learn by getting your hands dirty! 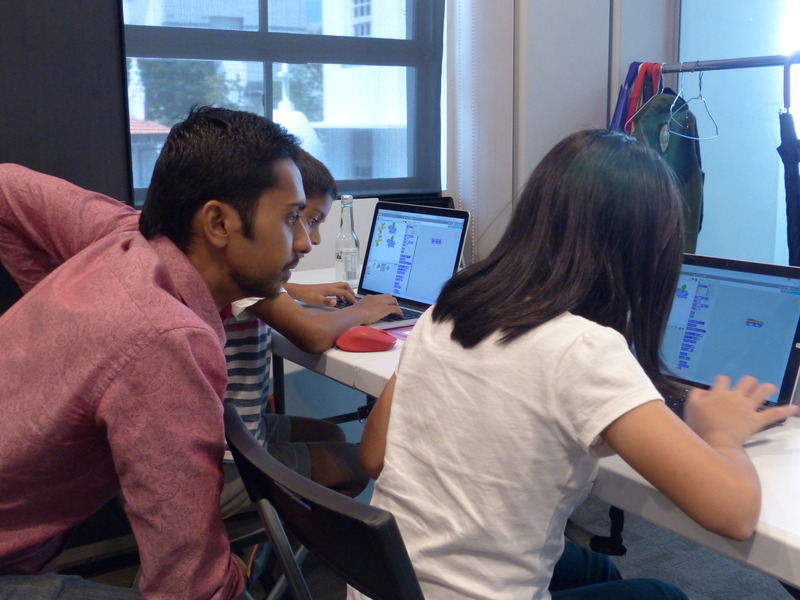 To keep the pace of our lessons creative, inventive, and imaginative, we conclude our workshop by introducing children to Makey Makey (http://makeymakey.com/) – a simple invention kit for beginners developed by former MIT students. Children will get an understanding of how circuits work and incorporate real world stimulus such as touch and feel to the projects they designed the day before. This will help children realise technology is everywhere – not just inside a computer – and how to interact with it for various creative outcomes.